Posted by paripl110707 in Carbohydrates, Energy, Transmit Nerve. Important for energy release from foods, especially carbohydrates. Helps to transmit nerve impulses to muscles. Posted by paripl110707 in Basic Element, Carbohydrates, Fats, Nervous System, Protein, Uncategorized, Vitamin Complex. 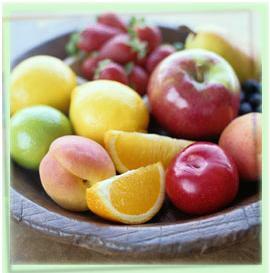 Vitamins are complex chemical substances contained mainly in food. They enable the body to break down and use the basic elements of food, proteins, carbohydrates and fats. Certain vitamins are also involved in producing blood cells, hormones, genetic material and chemicals in your nervous system. Unlike carbohydrates, proteins and fats, vitamins and minerals do not provide calories. However, they do help the body to use the energy from food. Most vitamins cannot be made in your body, so they must be acquired from food. One exception is vitamin D, which is made in the skin when it is exposed to sunlight. Bacteria present in the gut can also make some vitamins.